Relate: Did you know Oprah gives her testimony of when she walked away from God? She shares of a time when she was in her twenties and was attending one of these megachurches, she doesn’t say which one, and she hears the preacher speaking about the attributes of God. She is completely with the message and caught up in the moment until the preacher says that God is a jealous God. That was it. Jealousy seems like such a petty emotion and one far beneath a dignity as great as God. She couldn’t understand it, so she wouldn’t accept it. From there on out, although she wouldn’t describe it this way, Oprah began to fashion a god in her own image. She decided to dress up her god with the attributes and traits that she liked to the point that her god isn’t even remotely recognizable as God. React: We aren’t told to understand the commandments of God. It is good for us to try to comprehend as much as we are able. God doesn’t call us to be automatons. He does, however, call us to be obedient. 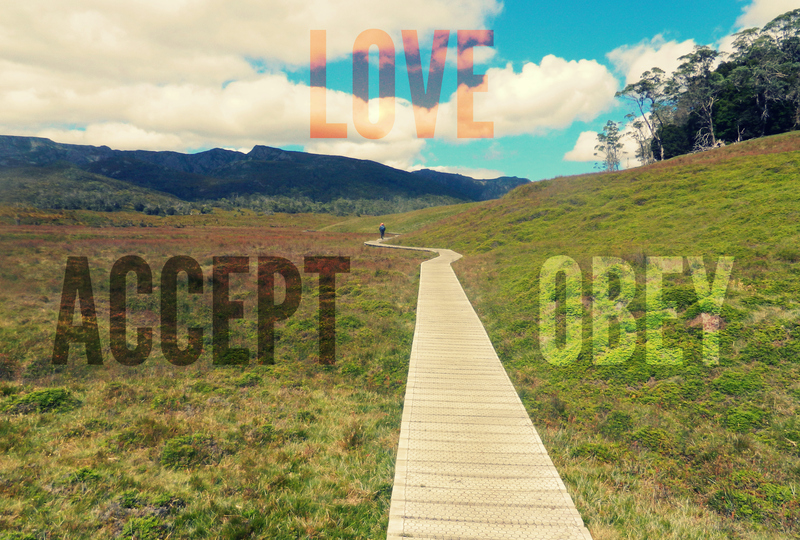 Even when we don’t understand what we are ordered to do, we must still accept and obey. I remember a coach teaching us a new drill. One of the kids looked up at him with confusion and said, “I don’t get it.” The coach responded, “You don’t have to get it. You just have to do it.” Now, that season we had tied a couple games but we never lost. Even though none of us ever really got the point of that drill, we did it. Why? Because we trusted that the coach knew what he was doing. He had proven himself. God has proven Himself time and time again. So I will chose to trust Him. Even when I don’t get it I will trust Him. Even when I am completely all mixed up and confused I will trust Him. Even when there might be some things that don’t quite sit right I will trust Him. I am just part of the team. He is the coach and He never… ever… loses. That is what Oprah never did understand. Yes God is a jealous God. No, He isn’t jealous of her. He is jealous for her. He wants the best for her life and, as great as her life has been with all the wealth, fame, and influence, it has ultimately been a failure. It has been less than the best. God wanted more for her. He was jealous for her best and until, if she is willing to surrender even her doubts and confusions, she will never achieve that best. Neither will you. Neither will I. I love my God and so I will accept and obey Him, everything He is, and everything He commands I will trust Him. That is all that there is to it. God, I trust You. If I were to fully understand You, I would be You. Sometimes I can be like a two year old crying because You have taken the toys away. Like that child I don’t get it. I don’t understand it. But help me to always accept and obey. Let my deep and passionate overflow into every aspect of my words and actions. You are my cornerstone. You are my all. The title alone says it all. This is an important article to. BJ – love how you and He walk. Thank you. Yes, I love this. God bless you! Succinct and accurate. “The fear of the Lord is the beginning of wisdom” is another verse that often offends the reader or listener. As you said, we cannot understand Him. After all, He is God. Good article. Amen this is great encouraging . God bless you. This makes so much sense, Beejai. Isaiah 55:8-9 comes to mind. Great post.